Apple Watch might be smart, but Apple has been keen to maintain traditional wristwatch characteristics since the beginning. That’s why the Digital Crown exists, and why many watchOS faces mimic automatic watches with sweeping second hands. Now Apple is looking to extend the similarities even further by allowing gadgets like the Apple Watch to be charged using a magnetic winder. The invention could mean that future Apple Watches won’t require a wireless charger at all. 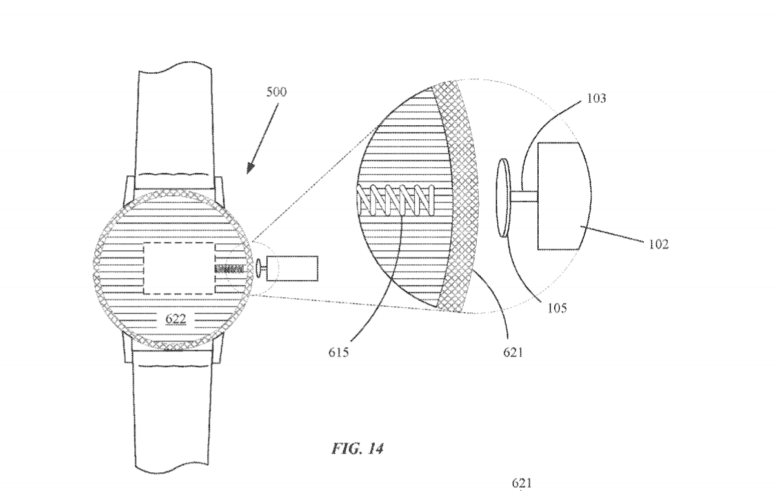 In a patent filing published by the U.S. Patent and Trademark Office today, Apple explains how it could use a rotating magnetic field and a charge generator positioned inside an electronic device to provide energy to an electric generator. Apple also mentions that the same system could be used to charge larger devices like the iPhone and iPad, but it notes that it would have to alter its “angular velocity” in order to generate a much more substantial amount of energy. Apple patents are never a guarantee of things to come, of course, and this one certainly seems a little unlikely — at least in the foreseeable future. But we would certainly welcome a method of charging that finally allows us to do away with charging adapters and cables.